Wind Chill -5, originally uploaded by [Zakkaliciousness]. No problem for a Copenhagen cyclist. 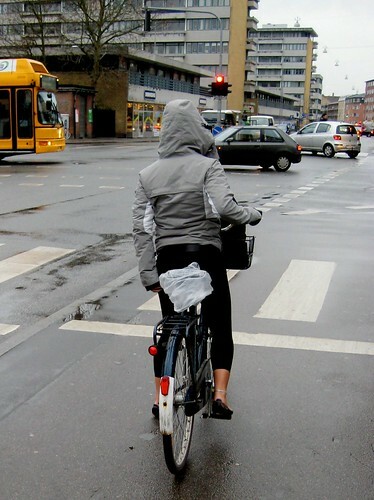 The drizzle started to intensify so she just enabled her hood mechanism while waiting for the light., after which she tugged down on her skirt, ready to cycle off home.